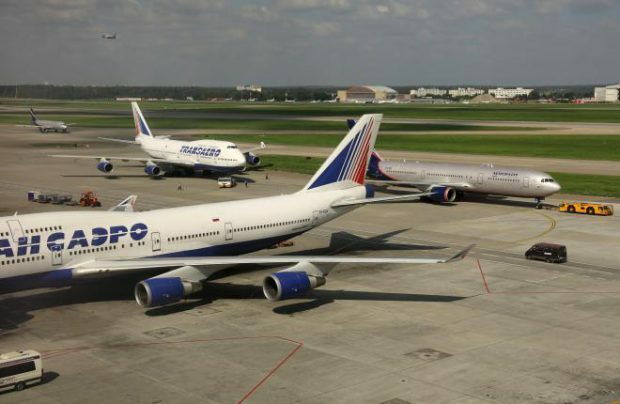 Aeroflot Group will receive only 14 instead of 24 aircraft of the bankrupt Transaero airline, Aeroflot CEO Vitaly Saveliev said in an interview with TASS news agency. Apparently, this refers to 24 aircraft to be transferred to the group’s subsidiary, Rossiya Airlines. The group has already received 12 aircraft, Saveliev said. That is the number of aircraft Rossiya has received from the ex-Transaero fleet since April 2016, including seven Boeing 747-400s and five Boeing 777-300s. Two more aircraft are being prepared for transfer, the Aeroflot CEO added. “The rest (ten ex-Transaero aircraft – ed. Russin Aviation Insider) require a good sum of money for repairs the lessors are not ready to spend. It’s unprofitable,” Saveliev said. Judging by his words, the group is not going to lease them. “We had recruited personnel especially for them and created a maintenance group, but restoring the aircraft’s airworthiness is a costly affair. They had been operated flat out with little care taken”. Aeroflot CEO clarified that most of the 10 aircraft left are Boeing 747s. Out of the aircraft the Aeroflot group is to acquire it has not yet received five Boeing 767s and seven Boeing 747 (including two airframes in preparation for the transfer). Aeroflot agreed to take over Transaero aircraft after the latter ceased operation in October 2015 because of debt overload. Apparently Rossiya won’t receive the rest of the aircraft despite the fact that Russian President Vladimir Putin virtually instructed Sberbank, VTB and Vneshekonombank (these banks’ leasing structures worked with Transaero) to find resources and transfer the long-haul aircraft of the bankrupt carrier to Aeroflot subsidiary.